Flowers are the perfect gift for every occasion and, in this world of modern technology, they can be delivered locally as well as nationally with no effort whatsoever. So whether you're running on a time limit or planning to send a bouquet in advance, you can rely on the best flower shops in Sarasota for the most beautiful arrangements. Founded in 1986, Beneva Flowers and Plantscapes has expanded into a reputable flower shop in the Sarasota area but is still family-owned. Their customers have voted them number-one for the Sarasota’s Readers' Choice Awards in the Sarasota Herald-Tribune for 18 years. Their flowers come in unique and beautiful arrangements, ranging from roses to winter flowers to tropicals. If you want to try something different, peruse their Plantscape section, which includes Anthurium plants and succulents. Don’t forget that they have flowers for every occasion, and their Valentine’s Day arrangements are flying off the shelves! Beneva is the house florist for the Ritz-Carlton in Sarasota, the Longboat Key Club, The Ringling, and Hyatt Siesta Key. With their own wholesale importing division, you can buy long-lasting flowers from all around the globe. Despite their reach, Beneva Flowers and Plantscapes remains a community flower shop, deeply entrenched in the area through their charitable Helping Hands Program. Dedicated to creating memorable designs for you, Sarasota Florist & Gifts specializes in international flowers as well as foliage and plants arranged by a talented staff using European designs to create warmth and elegance. A tropical flair gives life to their aromatic designs, but for a longer-lasting gift, select a green plant from their array of choices for tabletop or floor display. Sarasota Florist will also create custom gift presentations like memorable “chocoholic” designs. Delivery is provided throughout the greater Sarasota area with same-day service provided on most bouquets. 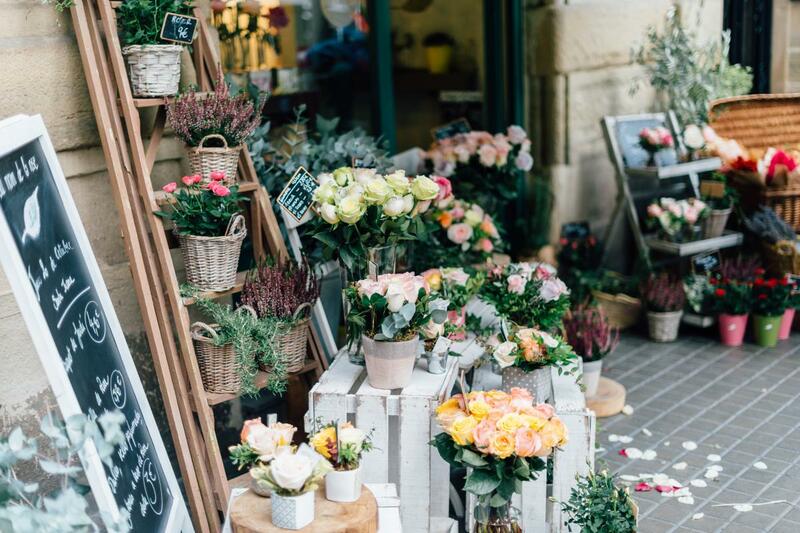 With specially-arranged options for anything from Valentine’s Day to "just because," you'll have plenty of choices in botanicals for your beloveds a this flower shop. For something truly special, consider choosing flowers from their Lavish Collection. Family-owned and operated, Aloha Flowers & Gifts offers only the finest products and service. With a friendly professional staff, you always know that every customer is important to them. This flower shop will always go the extra mile to ensure that your floral gift is perfect. Take a look at their modern flowers for new, exciting gift ideas, or stick to classic and beautiful roses that dazzle. With nationwide delivery, never forget anyone again! Brighten up a day with their exuberant arraignments or celebrate moments to remember with personalized creations. Get creative and mix in fruit with your basket to make your gift about sustaining relationships. Or go the plants route and create a contained jungle of green flora. No matter what you want to say, the team at Aloha Flowers will work with you to craft the perfect gift. Be sure to stop and take a look at their Valentine’s Day arrangements. Say "aloha" and make them your first choice for flowers! Pick up a bouquet to make someone smile from Flowers by Fudgie. Family-owned, this flower shop looks to bring the brightest of moments to any occasion. Know anyone with a new baby? Celebrate new life with a gift of nature. If anyone you know is feeling down, pick them up with the vibrancy of flowers! You can even try modern arrangements or a plant; all will be sure to make them smile. Don’t forget the biggest day of the year for flowers: Valentine’s Day, and their arrangements are stunning. Have specific tastes? Flowers by Fudgie provides specialty services in areas such as tropicals, European dish gardens, silk arrangements, gift baskets, and candles. Running out of time? They deliver locally for a $10 fee. They also accept international orders, but they must be placed in advance. Don’t hesitate, order from Flowers by Fudgie today! Enhance every occasion with flowers from Bee Ridge Florist. From accent displays to flower bouquets, Bee Ridge will design and create the perfect piece for the special people in your life. Even better, Bee Ridge provides a four-day freshness guarantee, so your flowers will always be fresh for as long as you need them. Special event coming up? Stop by and see what all the buzz is about as their design specialists create a one-off floral display personalized to your needs. They’ll even personalize regular orders from flower type and color to the best of their ability. Order online and be guaranteed next-day delivery, even if you order late: just give them a lead time of four hours! If you can think of an occasion, Bee Ridge has an arrangement for it, so pick up some flowers from this Sarasota flower shop! The finest flower arrangements and gifts are all you’ll find at The Flower Place. Whether you need to say thanks, show your appreciation, send a business gift, offer congratulations, or need a fun happy hour centerpiece for a party, this flower shop has the flowers, fruits and plants for you. From simple arrangements to extravagant designs, there’s nothing their designers can’t create. The Flower Place always goes the extra mile to make sure your arrangement is exactly what you want. All creations are original, even their Valentine’s Day arrangements; you can add on decadent treats, plush bears and balloons to personalize your gift. Serving Sarasota since 1980, Suncoast Florist has earned their reputation for quality, creativity, value, professionalism, and always going the extra mile. They’ll even help you if you’re not entirely sure what you want to send, and their creative suggestions will be sure to produce a winning piece. Need a gift the adds life to any setting? This flower shop's extensive selection of dish gardens, green plants, and blooming plants will be sure to please. Worried about creating the perfect arrangement? Their courteous staff will help you through every step of the way and offer daily delivery to local funeral homes and hospitals for your convenience. Their motto to "send love with every flower," so their Valentine’s Day arrangements that are sure to impress. Choose Suncoast Florist to bring joy to everyone in your life through flowers. Created in 2008 by Fabrice Z., Bobios is the combination of “botanical” and “biological.” Bobios has become another language in which the customer is understood as a necessity to evoke strong emotions. Flowers by Bobios is recognized in Sarasota as more than just a traditional flower shop and a master florist by the FTD since September 2011. They are confident they can celebrate and honor some of your most important experiences because of their dedication and commitment to provide high quality. Their artfully-designed arrangements are perfect for everyday flowers to brighten up the week or celebrate any occasion. Pressed for time? They deliver both domestically and internationally. Learn the language of flowers at Flowers by Bobios and start choosing your gifts. Island-infused arrangements brighten up any room and are the specialty at The Pineapple House. Want something more classic? Never fear, they have innumerable rose arrangements and traditional designs. The Pineapple House caters to all of your flower needs, even offering flower hairpieces for prom and handheld bouquets. Whether you’re looking for flowers for Valentine’s Day, "just because," or for an anniversary, you’ll find what your looking for at The Pineapple House. If you don’t find exactly what you’re looking for, create a custom design and work with the floral designers to create your vision. Check out The Pineapple House and start working on your perfect gift. Be sure to bookmark this article to remember all of the best flower shops in Sarasota. There's always a special occasion on the horizon that calls for flowers! Find more flower shops in Sarasota by registering on 941area, the ultimate free guide to everything in Sarasota and Bradenton.